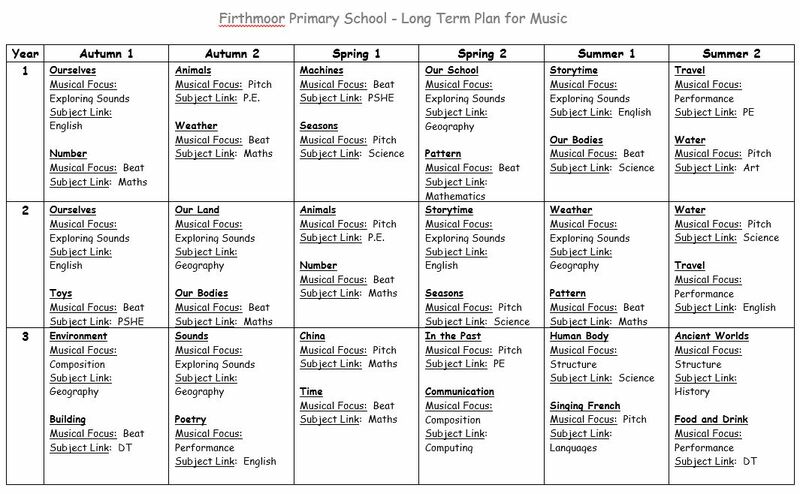 At Firthmoor Primary School, we use Music Express to help us to deliver and broad and balanced curriculum in Music across the school. Strong musical foundations are laid in the Early Years where songs and music are shared on a daily basis. Year 1 children are participating in the First This Music Study to develop speaking and listening skills, concentration, rhythm beat and singing. 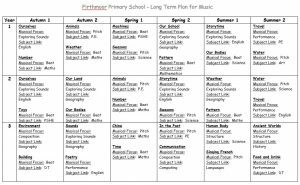 As they enter Key Stage 2, pupils access the Durham Music Service peripatetic teaching, where they learn to play the recorder and read basic notation. We also access the Durham Music Service for small group violin teaching with children from year 4, 5 and 6, who learn to play individually and as part of a group. Some children go on to join Darlington Youth Orchestra and take their graded examinations with the Associated Board of Royal Schools of Music. Assemblies, class and whole-school productions provide children with the opportunity to perform to an invited audience, whilst the school choir regularly entertains the residents of a local care home, and has performed several times at the Darlington Primary School’s annual ‘Eurovision’ contest.